These all cotton bonnets are prefect anytime from a nice warm day in the garden to a sunny day by the Oceanside. *After you place your order, we will send you a picture of all the available fabrics in that color that you select and then you pick the fabric and pattern that you like the best. 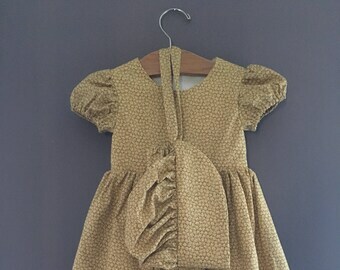 We will then ship your bonnet to you in 1 to 3 business days! 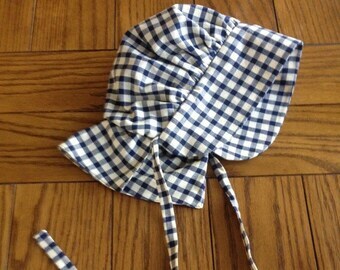 Bonnets can also be made with soft cotton flannel just let us know!! 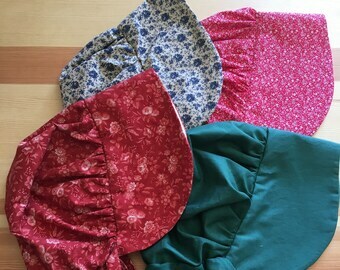 Sizes I try to customize each bonnet to the receiver it helps me if I have a age and/or clothing size. 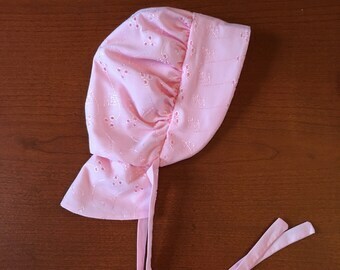 We also make custom bonnets where you can pick the fabric so its your style, your way and in just about any color. 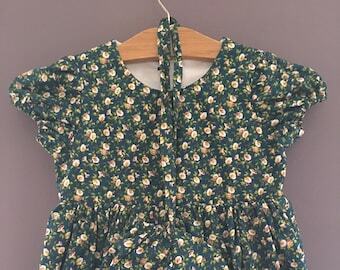 And/or you we can make matching Mother and Daughter(s) Bonnets! 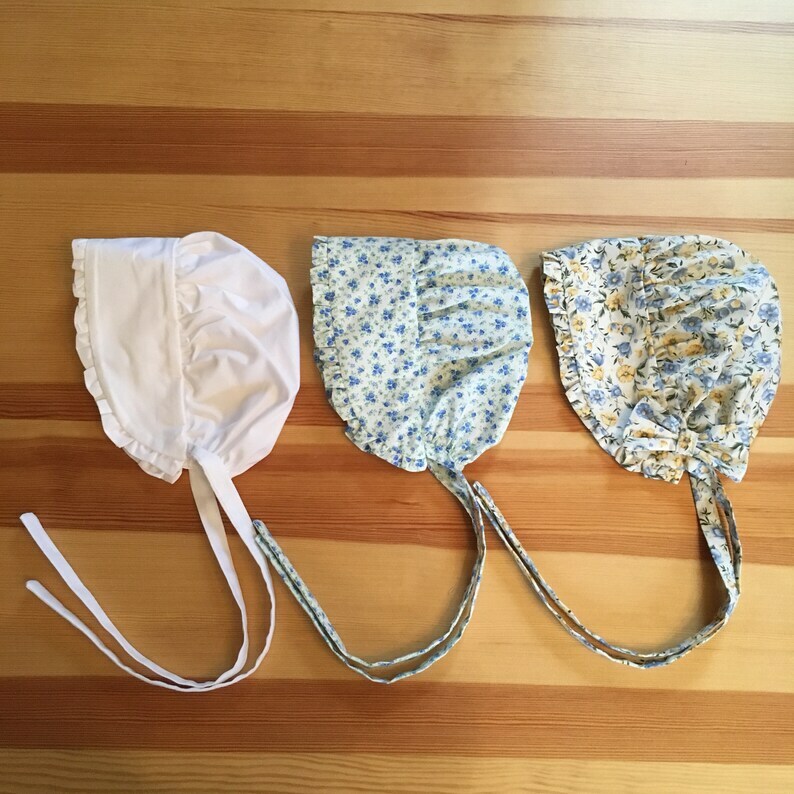 These bonnets have been washed in natural detergent. Your bonnet can be washed on all cycles and is dryer safe!! 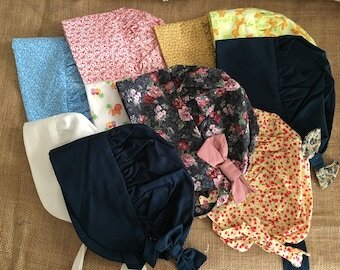 We also provide options like sunshades and bows on all size bonnets; please see our other listings. I absolutely loved this bonnet! I think I’ll definitely buy more! These are beautiful and very well made! 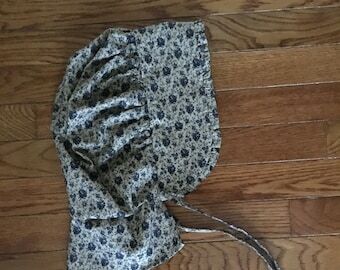 Baby Bonnet That Ties In the Back!